Pregnancy is a delightful feeling and best experience ever for a woman. It will be more charming if it’s first time. Every woman expects to have a normal delivery for her baby. But sometimes expecting normal delivery plan goes wrong without any prior alert. However, following some pregnancy exercises and normal delivery tips can ensure the normal delivery. SEE ALSO: Ramadan Fasting Tips For Pregnant Ladies. Pregnancy Exercises And Normal Delivery Tips. 1. Do light pregnancy exercises and continue practice it routinely. You will see a video below this post about pregnancy workouts. 2. Eat properly. You have to change your diet plan during pregnancy time. Remember, you are not one person now, a more little baby live in you. 3. Drink more and more pure water. Drinking pure water can reduce labor pain and increase the possibility of normal delivery. 4. Use soft warm water while bathing. If possible, try to bath in a bathtub. 5. Keep yourself totally stress free. Always stay away from those persons who afraid you about dangerousness of pregnancy. Truly, there are nothing to fear in pregnancy. 6. Do perineal massage regularly after seventh month. Its also a part of pregnancy exercises. SEE ALSO: How To Manage Office And Children Together? 7. Hire an experienced doula who gives you advice, support and help during pregnancy. 8. Do breathing practices to strong your heart and increase physical energy. With this practice, your baby will get enough oxygen. This is also helpful for normal delivery. 9. Try to walk during pregnancy. Walking reduces exhaustion. But don’t walk too much. Just a routine based light walking. 10. Spice foods warm womb and help in normal delivery. But, if you have heartburn or nausea problem just avoid this types of foods. 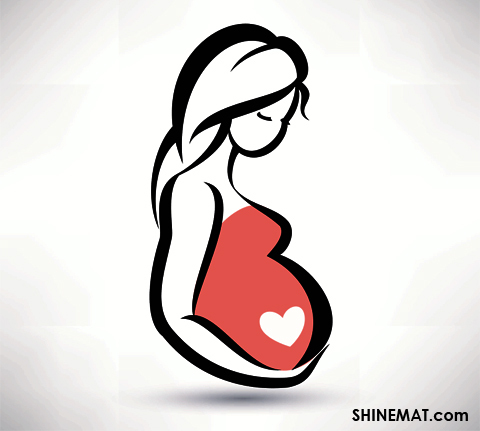 Hope these simple tips and pregnancy exercises will help you. Best wishes for your upcoming sweet and cute baby. Share this with your friends. Good luck and Allah Hafez.